“Mainstream academic music texts will often tell you that anything interesting, as far as sacred music in eighteenth-century Rome is concerned, more or less came to an end with the death of Alessandro Scarlatti in 1725. They also tend to make claims about many of his colleagues and successors being slavish imitators of the Palestrina style who did nothing to advance sacred music in a city apparently dominated by Papal conservatism. “Whilst it is undoubtedly true that in the Sistine Chapel the stile antico prevailed until the end of the 1700s (and indeed in Rome’s four Papal basilicas), outside the immediate boundaries of the Vatican, in many important parish churches, sacred music was anything but conservative and, in the hands of leading composers, reached new heights of expressive power with distinctly modern and, in the wider European sense, ‘classical’ flavours. “One such church was San Lorenzo in Damaso, attached to the Cancelleria, the palace of the Vice-Chancellor of the Roman Church. 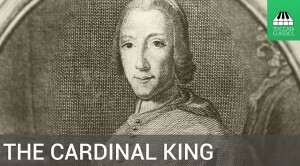 In the early eighteenth century the Cardinal-Priest of San Lorenzo was Pietro Ottoboni, famous patron of Arcangelo Corelli. From 1763 this church came under the protection of Cardinal Henry Benedict Stuart (1725-1807), who had been elevated to the sacred purple in 1747. “Henry, the brother of Bonnie Prince Charlie and grandson of King James II of England, was devout, sincere and musically trained. He spent lavishly on sacred music at San Lorenzo, where composers such as Giovanni Battista Costanzi and Sebastiano Bolis enjoyed particular favour. 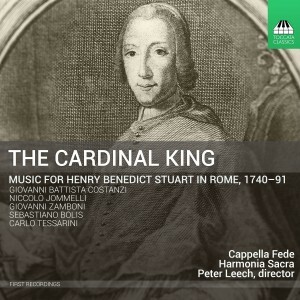 “Bolis, whose music has languished in obscurity for nearly 250 years, has been one of my principal research foci and, over several years, I have transcribed and edited many sacred works which Bolis composed for Henry at San Lorenzo between 1778 and the mid 1790s. “My research has shown that Bolis’s music is demonstrably fresh, modern and appealing, and the product of a master who could turn his hand to any idiom, whether pentitential, celebratory or reverently contemplative. His remarkable stylistic flexibility can make us sigh, laugh or cry, and it is no wonder that Henry Benedict supported him so fervently and without question. Visit our news website to read more about Dr Leech’s research into the history and influence of Cardinal Henry Benedict Stuart.